Since WhatsApp announced earlier this year that his service will have an annual fee, users have started to look at other instant messaging applications. WeChat is becoming popular as an alternative, and not just because it is free but due to many other reason. It is available for Android, Windows, Blackberry, iPhone and Symbian in 18 languages. WeChat has reached more than 300 million registered user accounts in just two years. "We are very pleased to note that social mobility is global, and many users around the world are starting to use WeChat to communicate with their environment", say from the company. 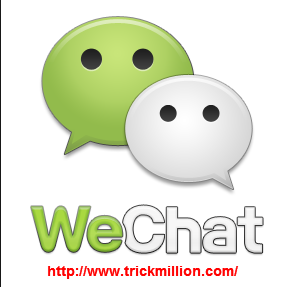 WeChat for Android is an application that lets you send messages for free from your mobile device. In addition, this convenient alternative to WhatsApp allows you to make free video calls in HD. One big advantage that characterizes this utility is that all conversations are stored in your phone or tablet only. Thus, you will always have your data in a private, secure and offline. After downloading WeChat for Android you can group conferencing with your friends. A fun feature is including the ability to shake your device, after which the software will search for nearby signals to add to your contacts. Via the 'Shake', you can talk with other people anywhere in the world that are using that option at the time and by 'Look around' you can find people nearby to chat. It is an original way to make new friends. Finally, we provide a space similar to a timeline where you can post your photos, news and content to share with your friends. While not wanting to comment on the competition, WeChat reiterates that it is a completely free application. WhatsApp charges 0.89 cents download on Apple and the amount to the annual update on the other devices. Meanwhile, other apps like Line, boasts a free download but has 'extras' such as emoticons, and games, with an additional cost. In addition to the messaging, voice and video, WeChat boasts other features like 'Moments', social network sharing application status, locations, share photos and comments, or the new version 4.5, which keeps chat alive. The way to find other users is also the original.